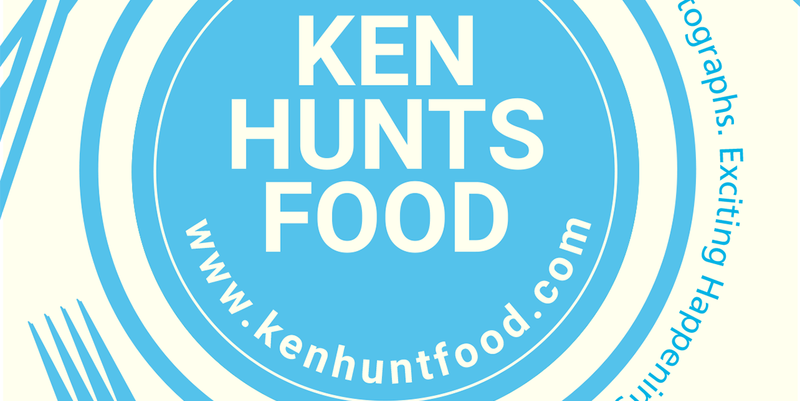 Ken Hunts Food: [Year 2018] Food Hunting- of Cafes/ Must-Eats @ Alor Setar (亚罗士打), Kedah (吉打). [Year 2018] Food Hunting- of Cafes/ Must-Eats @ Alor Setar (亚罗士打), Kedah (吉打). Following my quest to hunt for the best local eats in Alor Setar in June 2017, we had another stopover at State Capital of Kedah in December 2017 before continuing our journey to Perlis. There are plenty of hidden gems around the city center so if you have not done enough research, fret done, you may try your luck by turning into one of these busy streets and who knows, you might find something unexpectedly delicious. Address: 168 E, Jalan Kampung Perak, Bandar Alor Setar, 05100, Alor Setar, Kedah. Business Hours: 7 am to 3 pm. Closed on Mondays. The Chicken Noodles at Kim Tao Coffee Shop is a long-established shop that sells Chicken Noodles. It is literally like the locals' favorite breakfast place. The seemingly run-down coffee shop houses 2-3 stalls and the busiest stall with brisk business is probably the one that sells Chicken Noodles. The signature dish is a type of hand-pulled noodles dressed in light Soy sauce and Pork Lard, served with julienned Chicken meat. The taste is clean and straight-forward, the timeless no-frills combination reminds us of the old-school noodles that we used to enjoy... al-dente texture with light savory flavor. Definitely the type of comfort food that you will never get bored. Address: Lot 4-23 A, 4th Floor, Aman Central Mall, 1, Darul Aman Highway, Kampung Lubok Peringgi, 05150, Alor Setar, Kedah. Opened in late 2015, Aman Central Mall is the busiest and most happening shopping mall in Alor Setar. There are many notable retail outlets (most of the brands can be found in Penang) but if there was one particular dessert place you should take note (especially for those with a sweet tooth), it would be Beans & Beans at level 4. 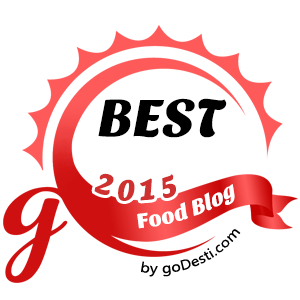 The place is known for its Korean Bingsu (Korean Shaved Ice dessert) and its Honey Toast. The Cheese Cake from the Cheese Cake Bingsu we had was not particularly impressive, it was too light in flavor to complement with the shaved Ice but the shaved Ice on its own, was pretty good. It was extremely milky with a light sweet touch. It was perfect to go with the Vanilla Ice Cream and crunchy bits of Corn Flakes, though the texture was not as fine as we would have hoped, the icy sweet treat is a good remedy for the sultry hot tropical weather. The Cinnamon Honey Bread was not shabby either, it was light on the edges and fluffy on the inside. The Cinnamon flavor was found on the Whipped Cream (and the sweetness) and the Cinnamon element was strong (at least the way I like). Not a bad choice for sharing. Address: No 8A, Tingkat Bawah, Jalan Tengah Off Jalan Putra, 05100, Alor Setar, Kedah. It is an open secret that Alor Setar is home to many good Thai restaurants and Sawadee Classic Thai Restaurant is one of the highly-lauded ones. A short walk from Aman Central, Sawadee Classic Thai Restaurant is manned by a Malaysian Siamese, you will be convinced when you hear the servers communicate in Thai language. The setting is classy, at least a proper restaurant setting with air-conditioners. All famous Thai dishes can be found here as long as you can name them, they can be found here (call to make reservation if you wish to savor something unique or exotic). But be prepared for a spicy, sweat-inducing meal here; it started from the appetizer of Ulam, the fiery hot Sambal Belacan sets the stage. We were all fired up before the next course, it was so hot that the Tom Yum Prawns appeared to be less-intensive. The Green Curry Chicken was one of the best-received dishes, we love the multi-dimensional flavors and the expertly cooked, tender, succulent Chicken; every drop of the Curry goes perfectly well with the Thai fragrance rice. Equally delicious was Cha Om and Cucur Paku; the Claypot Glass Noodles was however, a little too peppery and over-powering to our liking. Address: No. 3A, Jalan Limbong Kapal, 05000, Alor Setar, Kedah. Business Hours: 11 am to 10:30 pm. Opens Daily. De Romansion is a cafe that snows, the European mansion-like setting has a huge marquee in front of the cafe and at certain hours of the day, bubbles will be blown to create the romantic snowfall mood. Diners whom prefer outdoorsy ambiance may opt to dine-in outside, under the marquee but it is only suitable for evenings; the sultry hot tropical heat kills otherwise. The menu has an interesting blend of Western delights with local twists. Dessert lovers however, will be underwhelmed with the limited choices of sweet treats, on our visit... only 3 types of cakes available. The Scottish would be glad to see their proud creation of Scotch Eggs being creatively blended with local Malaysian flavors; it was somewhat similar to Curry sauce and served with white rice. The fine layer of meat encasing the hard-boiled Egg was firm and meaty, flavors were well-balanced and perfectly spooned over rice. It's like having meat patty with egg in curry sauce... at the same time. The Oreo Cheese Cake was not shabby either, it has the perfect creamy texture with subtle sweetness. The Oreo flavor was light and did not overpower the entire dish. Drinks however, were less-impressive. Address: No. 89, 91, 93, Jalan Pekan Cina, 05000, Alor Setar, Kedah. In the heart of the bustling Alor Setar, along Jalan Pekan Cina is a Vietnamese Cafe. The facade facing the main road may look dull but once inside, you will be rewarded a spectacular view overlooking a river. Visitors can enjoy the cold breeze and enjoy the Vietnamese fare there. The Vietnamese Spicy Beef Pho is a unique twist to the well-loved Vietnamese delicacy. It possessed a unique but fiery hot spicy kick. The broth was flavorful and the noodles were legit, we enjoyed the soup and thought it was pretty affordably priced for that portion. Other dishes were standard-average but we did not think they were truly authentic... probably with a local twist to suit the local palates. We were informed that the place will be moving out by early 2018 to Jitra but there was no announcement made on their official Facebook Page though. Have Fun Exploring Alor Setar! What a great round-up Ken. I need that claypot glass noodle! I can see the Thai influence in the food up north. Nice!